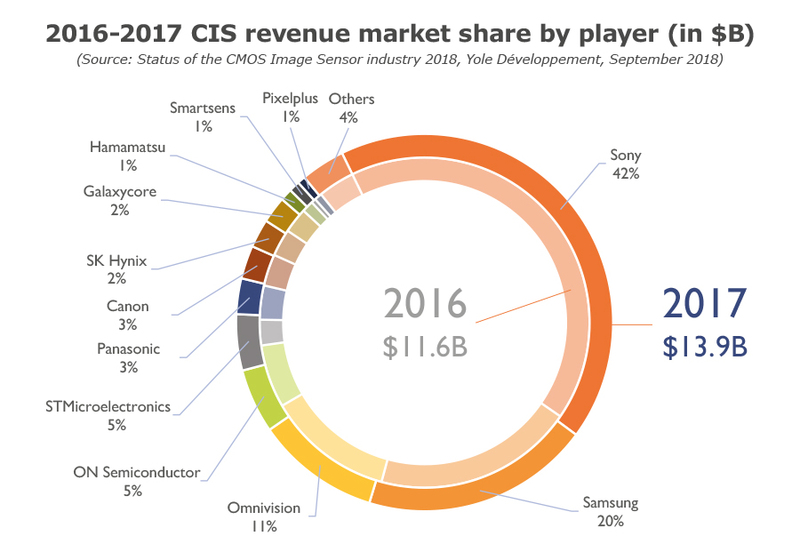 "2017 saw aggregated CIS industry revenue of $13.9B. We now forecast a 9.4% compound annual growth rate (CAGR) for the next five years. 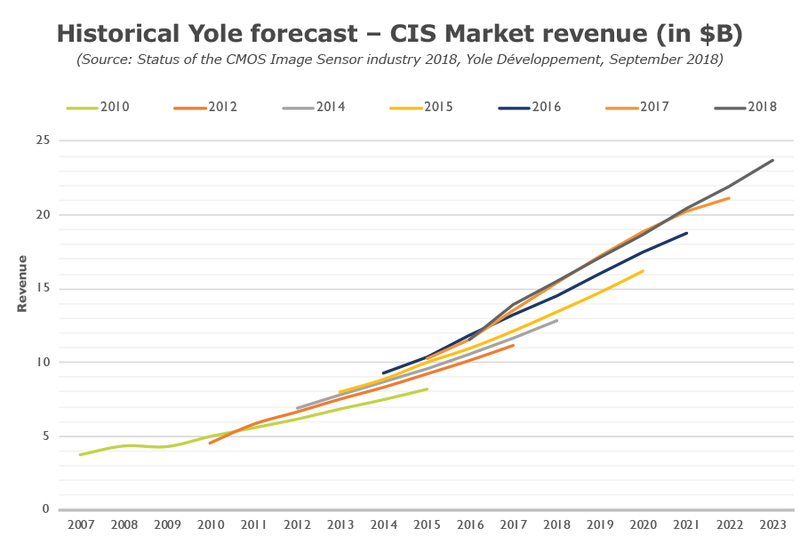 Year-on-year (YoY) growth hit a peak at 20% due to the exceptional increase in image sensor value, across almost all markets, but primarily in the mobile sector. The market has benefited from the operational recovery of leading CIS player Sony, which captured 42% market share. 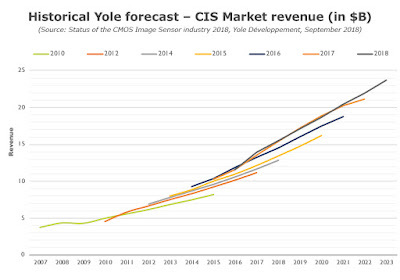 The CIS industry is able to grow at the speed of the global semiconductor industry, which also had a record year, mainly due to DRAM revenue growth. STMicroelectronics stole the show at the end of 2017 by capturing the slot in the newly released iPhone X with an innovative NIR Global shutter based on a silicon-on-insulator (SOI) substrate. ON Semiconductor has become the key player in automotive despite growing competition from Sony and Samsung. Growth in its Industrial division helped mitigate decreasing volumes of action and drone camera products. On the CIS foundry side, HLMC has benefited from the production transfer from Omnivision and TPSCo similarly from ON Semiconductor. Hynix is apparently locked in a conundrum prioritizing DRAM over CIS. SMIC similarly has to invest in the next generation technology and is in transition. Probably the last key aspect of this year’s status of CIS is China’s positive progress. Having built a consistent ecosystem incorporating CIS foundries, CIS vendors and high growth system manufacturers, China CIS ecosystem will become more important in the future."